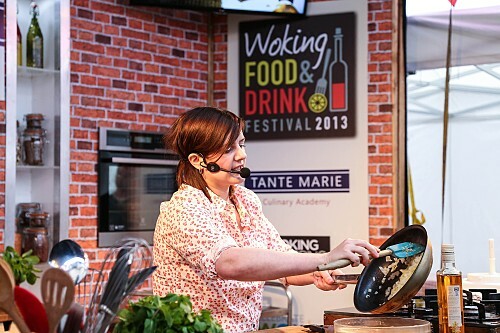 Over 20,000 foodies were treated to a tantalising array of culinary delights when the first Woking Food and Drink Festival took place in Woking Town Centre, from Friday 13 to Sunday 15 September 2013. The festival highlights included Natalie Coleman, BBC MasterChef 2013 winner, showcasing her self-taught culinary credentials when she took to the Tante Marie Culinary Academy Theatre, and Jo Wheatley, TV Baking 2011 winner, rose to the challenge when she took to the stage for two delicious baking demonstrations. Young chefs also got the opportunity to roll up their sleeves to create their own chocolate creations and put their palates to the test in a series of tasting and healthy eating sessions, courtesy of Woking Shopping. The British BBQ Society also added some extra sizzle to the Festival with free interactive Ready Steady Q BBQ cook-off sessions for adults and children. The fast-paced and fun grilling competitions gave contestants a set amount of time to create a dish from mystery ingredients on a gas BBQ. As well as foraging amongst the 40 high-quality artisan food and drink stalls and tucking into some flavoursome plates from street food vendors, visitors to the Festival enjoyed live acoustic music from the Phoenix Cultural Centre. 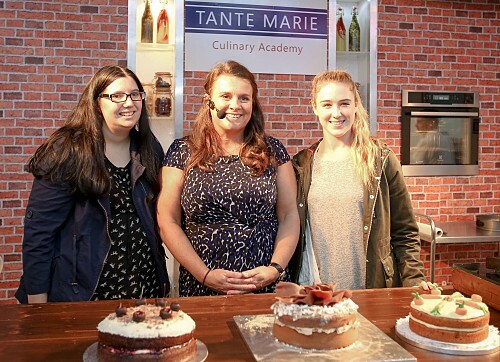 A number of rising local cookery stars also had a slice of the baking action when they took part in the Festival’s baking competition judged by TV Baking winner, Jo Wheatley. Claudia Nocci was chosen as the winner for her coffee and meringue sponge cake. Claudia, who is originally from Italy and now lives in Woking, won a place on one of Jo’s cookery classes, held in her own home in Essex, along with a signed copy of her book, 'A Passion For Cooking'. Claudia, said: “I'm so honoured and really happy to have won this competition, especially as it was judged by Jo Wheatley. This recipe is one of my favourites and I'm so glad Jo agreed!"